All of us who believed that getting placed higher in SERP depends on keyword optimization, content management and link building, are in for a huge surprise. The new-found dependence of search engine rankings on social media has yet again got SEO experts, the world over, on their toes. Social Media has impacted the rules of SEO dramatically and the social powerhouses like Facebook, Twitter and LinkedIn have become overnight game changers for millions of business websites. It has, sort of, become mandatory for businesses to get social and propagate their presence and workings via recommendations in order to survive the heat. Let’s find out how social media can be exploited to boost your Search Engine Ranking Position rank and build business by directing traffic towards your website. Unleash your brand power by unifying the efforts of your SEO team in the form of social interaction under a single brand name. The visibility of a strong brand, and an associated message in all your content, will go a long way in establishing your social media presence across channels. Choose powerful keywords that describe the vision of your business, the impression you aim to build in the minds of your customers and the reason why people should follow you. List down a range of top keywords and ensure that your content is built around these using standard SEO practices and propagated strategically via social media. After keyword development, create an action plan to implement and evaluate your strategic blend of SEO and social media. You must build your strategy around the type of content you aim to publish and its rate of recurrence. For instance, organizing webinars fortnightly, buying ads with appropriate messaging having a planned span of reach per social media channel. Statistics associated with factors such as the quality and relevance of content, reputation of the author, number of tweets/likes/shares/comments/followers must be continually reviewed to measure the ensuing success. Leading search engines of the likes of Google and Bing prioritize advanced white-hat SEO algorithms over any other rule to determine SERP rankings. Once your SEO basics are in place, concentrate on roping in social media to take your rankings a step further. Also, exactly like SEO practices, social media strategies must be consistently managed, modified and measured for continuous results. 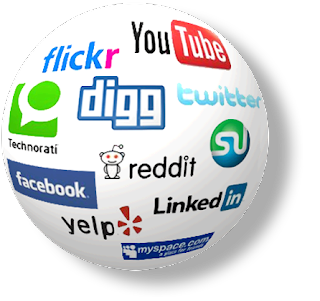 Social media savvy customers are always on the hunt for fresh and appealing content to share. Create and publish fresh, keyword-rich content to create a strong social media presence. Promote your banner, product pictures and brand images on popular image sharing websites, tweet increasingly to carve a niche as an authority in your line of business and make it easy for people to like and share your content. These tips are simple to execute and ensure that you use social media effectively to boost your search engine rankings.